Here's something to think about. I've been reading about quinoa and its health benefits and how it could be part of my everyday diet. I tried quinoa at a girlfriend's house. She's been trying to lose weight and have been into a lot of diet plans without having to take pills. So her regiment includes a lot of running and plenty of quinoa in her meals. For me, quinoa may take some time to get used to. It tastes different from rice. And will most likely need seasoning or learn some new tricks to make it taste "better". Perhaps going to cooking school could help me learn new cooking tricks. Here's a recipe. 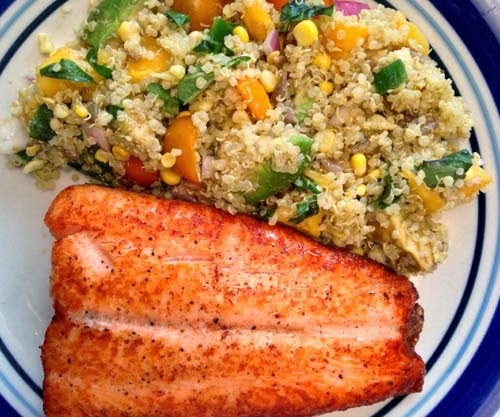 Essentially, quinoa replaces rice for prep. I make fried rice by using leftover white rice and cooking it in a frying pan along with other ingredients. The same applies in this case, so I first cooked quinoa in rice cooker. 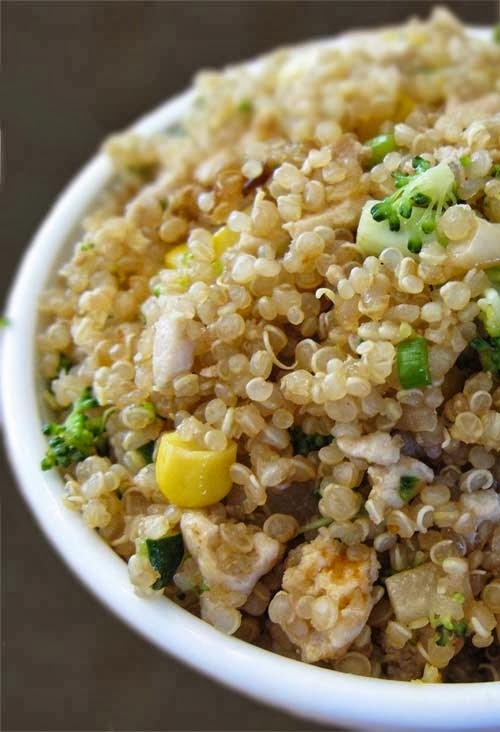 The water to quinoa ratio is the same, which is 2 parts liquid to 1 part quinoa. When the quinoa is done (rice cooker automatically shuts off), cool it for a few hours before frying. Chop broccoli, zucchini, and onions into desired pieces. Mince garlic. Then set veggies aside. 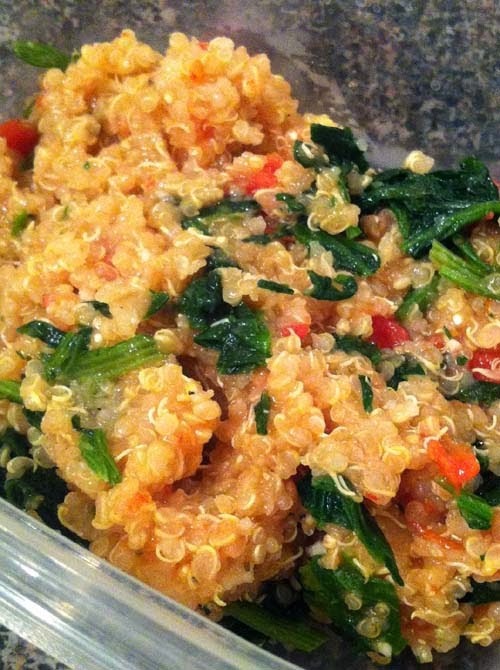 Here's another recipe where quinoa was also substituted for rice. It's prepared without cooking quinoa first and using a slow cooker. In a skillet, warm oil over medium-high setting. Stir in tomatoes and broth. Add onion powder to taste. Increase heat to high and bring to a boil. Transfer to slow cooker. Add quinoa and season with salt and pepper. Cover and cook on low until most of the liquid is absorbed and quinoa is tender. It should take about 2 hours. Remove cover and stir in spinach. If pilaf looks dry, add up to 1/2 cup more broth). Cover and cook 15 minutes longer or until spinach has wilted. Serve.